Monument signage is an important part of the Southern California landscape. Many businesses understand their importance, but not everyone is taking full advantage of monument sign design and its versatility. Here are four things that your sign professionals at Dave’s Signs can do for you, to help you take advantage of this exceptional form of advertising. Check out the sign we did for the Red Horse Plaza. It advertises five businesses in this shopping center, and there is room to add two more. By including other businesses in your monument sign design, you can share the costs of advertising and promote your shopping center. This is a “win-win” situation for everyone involved. 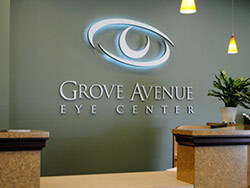 Monument signage informs customers and potential customers, but it’s also great advertising media. All you have to do is add your business logo to the sign. Notice the horse in the Red Horse Plaza sign, and other businesses added their logos to their messages. The Ojai monument sign design includes a beautiful stone structure that welcomes everyone to the city. It says so much more than a simple road sign with the population listed. This sign lets you know that Ojai is not a common, ordinary city in Ventura County and visitors will want to explore all of its great things to do and see. Dave’s Signs has been helping customers get the most from their signage for more than two decades. Call us today at (805) 641-1387 to discuss your business signage needs. You can also reach out to us online.